The trainers are always a big story heading into any major race, and that is no exception in the 2016 Preakness Stakes. They are the decision-makers, the coaches, and the therapists. In bigger stables they are more like CEOs, while in some of the smaller operations in the race this year they are everything from public spokesman to head blanket washer. They will get a lot of credit if they win and will almost certainly be blamed for a loss. They have a very tough job. Doug O'Neill: For the second time in four years O'Neill is back with a Derby winner in the Preakness. Things are a little different this time around, though. Back then I'll Have Another was not even the Preakness favorite despite the Derby win - that honor fell to Derby and eventually Preakness runner-up Bodemeister, trained by Bob Baffert. This year there is no doubt that Nyquist will not only be favored but very heavily so. O'Neill seems much calmer and, frankly, more likeable this time around. A big reason for that has to be that the specter of drug violations aren't hanging around him this time like they were last time. He's also here with a better horse that many more people believe in - especially after the Derby dominance. Having the best horse in the field is rarely hard on a guy's confidence. Todd Pletcher: As always we spent a lot of time heading into the Derby talking about Pletcher's almost incomprehensible struggles in that race . He didn't disappoint those who like that narrative as neither of his Derby entrants had particularly sparkling days. He's here with a bit of a mystery horse in the very-lightly-raced Stradivari, but the narrative is very different. After Pletcher disappoints in the Derby he rarely comes back for more in the Preakness. In fact, this is the first appearance in the Preakness for Pletcher since 2011. He has had 16 Derby entrants since then. So, Pletcher has not won the Preakness, but his sample size is small enough that that isn't particularly significant in comparison. If he wins here he can complete his career Triple Crown since he has one Derby and two Belmonts to his credit. Bob Baffert: The story is very different this year than last for Baffert. Last year he was en route to a Triple Crown with the best horse of a generation. This year he's down to just one bullet here after a frustrating Triple Crown trail and a disappointing Derby. I'm sure he's not too upset about it - you can't have an experience like last year every year. You can never rule Baffert out in this race - last year was his sixth win in the race. That's as many wins as he has in the Derby and Belmont combined. The guy loves Pimlico in May. Gary Sherlock: Sherlock trains Uncle Lino and is a truly great story. He is 70 and has been training for a very long time. He has never had a big stable, though - he has won just four graded stakes over his career, including three with one horse, and the big stables like Pletcher and Asmussen win more races some weekends than Sherlock wins most years. He's the ultimate underdog story - complete with an underdog jockey with just one graded stakes win as well. If you like the little guy then this is one of your favorites. Dale Romans: Romans has had a long and distinguished career with win in the Dubai World Cup and in three Breeders' Cup races. The crowning accomplishment in his career, though, is probably his 2011 Preakness win with Shackleford. 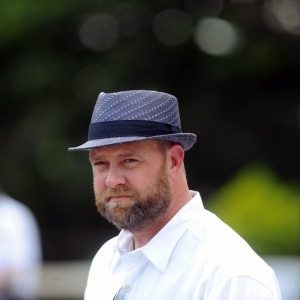 The Louisville-born-and-raised trainer would surely rather win the Derby, but any Triple Crown win counts, and Romans is fully capable of winning more - though he is in tough this year with Cherry Wins. Keith Desormeaux: Desormeaux does not have a Triple Crown win, though former long-time assistant Tim Ice does as he won the Belmont with Summer Bird. Desormeaux has, according to the odds at least, the best shot of knocking off Nyquist with his Derby runner-up Exaggerator. He's short on Triple Crown experience because although he has been training since 1988 he has only recently started playing in the big leagues. He has been first and second in the Breeders' Cup Juvenile the last two years, though, so he has an obvious touch for young horses in big races, so he'll be ready. Mikio Matsunaga: This Japanese trainer and former star jockey earned some real respect - and raise a few eyebrows - when he declared soon after the Derby that his horse, Lani, was not only heading to the Preakness but to the Belmont as well. That kind of thing doesn't happen much these days. The horse has largely been ignored in his preparation for this race, and the trainer clearly does things differently than most North Americans - longer works, unique training schedules and so on. With a big showing here, though, Matsunaga could find a spotlight shining on him heading to New York. Mark Casse: You know how in golf they always talk about the best guys who have never won a major? If I were making a list of the best trainers never to have won a Triple Crown race - guys who are due to win one soon - Casse would be right at the top of it. He has been truly dominant in Canada and is having good success as he strengthens his influence in the U.S. It's a bit of an odd situation for Casse with Fellowship here, though. He only took over training the horse after the Florida Derby, and this is just their second start together. They disappointed on the Derby undercard, but Casse obviously saw enough he liked to come back here. As with a new coach who takes a while to get his team bought into his system, it is possible that we will only see the best of this horse with time. Want free Preakness picks? Doc's sports expert handicappers are offering $60 worth of Preakness Stakes picks absolutely free - no credit card needed and no salesman ever. Click here to take advantage of this offer.